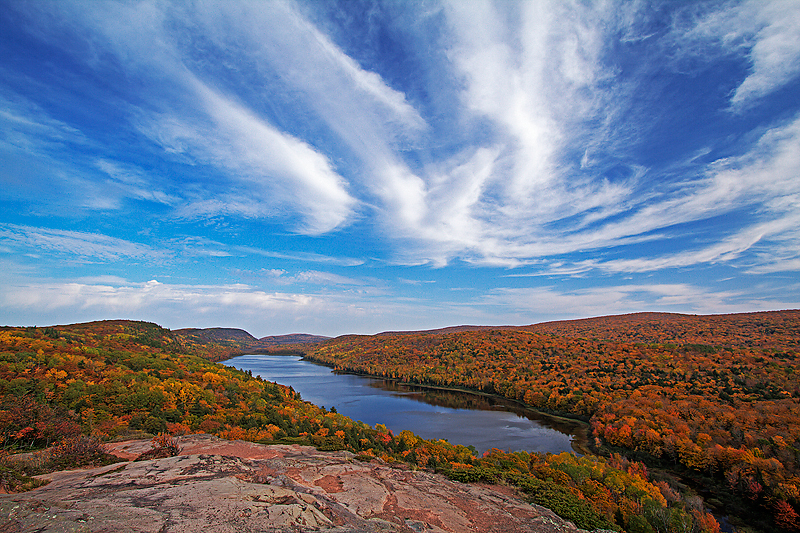 I decided to visit the Porcupine Mountains last week, I was able to see the wonderful Lake of the Clouds during peak fall colors. I was fortunate enough to see wonderful cloud cover during late-midday over the lake (image below). A few hours later, I was even more fortunate to be able to photograph wonderful clouds drifting over the lake during sunset (image above). The clouds truly lit up like fire, it lasted only ten minuted before the intense directional warm light became diffused by clouds near the horizon of the sunset. I am unbelievably excited to return to this area, and many others, next year a little earlier and for a much longer duration of time with Robin, the love of my life. I hope you enjoy the photographs, please let me know what you think of them!! 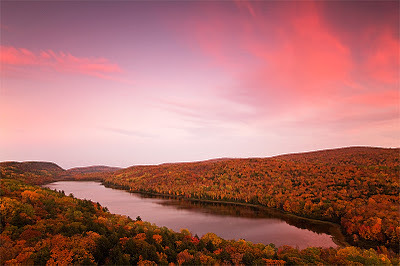 Above: Canon 7D, Canon 10-22mm lens (@15mm) 6-stop neutral density filter, 3-stop neutral density filter, 3-stop graduated neutral density filter, 2-stop graduated neutral density filter, ISO 100, F/8, 178 seconds. Below: Canon 7D, Canon 10-22mm lens (@10mm) Circular Polarizer filter, ISO 100, F/8, Three shot HDR, middle exposure at 1/40th.